Hello Sassy Friends! Welcome to this week's challenge. What a super turnout we had this past week. 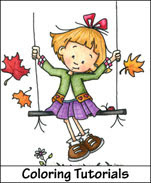 We enjoyed seeing all of your creations in our "Thinkin' Spring" challenge. There was so many lovely contributions and we appreciate each every one of you for playing along with us. Congratulations, Ginny. 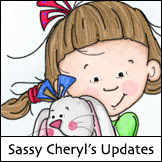 To claim your two digi images, just email Sassy Cheryl so she can get you all set up for your prize. Enjoy them.. we look forward to seeing some new creations with them. Sassy Judy's theme for this week is "Easter Parade" - use bunnies and/or bonnets in your creation... a perfect challenge for using all of those pastel papers we've been hoarding. Here's what our talented Sassy Judy and the design team created for this week's challenge. Aren't they all just adorable. We created our own Easter Parade sharing these with you! Come celebrate in our Easter Parade and join us in our challenge. 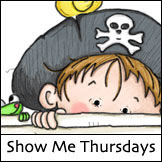 Just link up your creation here using InLinkz below to your blog post or online gallery. You may enter only once, but can use any image in our challenge. 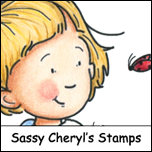 If you do use a Sassy Cheryl image, you get two entries in our random drawing. CONGRATULATIONS Ginny, aka Rubber Mad! Just drop me an email and I'll get your free images credited to your account. Ladies. . . .what AMAZING cards for this weeks Easter challenge! Each and every one is truly inspirational! Can't wait to see what everyone creates. Good choice Mz. Sassy Judy! These cards are just awesome. Maybe I can talk my GFs into a card day, so I can get in on the fun. Fabulous Sassy Cheryl's images, love 'em and the challenge. Hi ladies!!! Wow, you guys are rockin Cheryl's images... seeee I told you all I would be checking in occasionally !! !